Bitcoin near 6500$ what will happen next ? Supreme Court decision on R.B.I ban on September 11 ? We are back with another interesting blog on bitcoin.In the last blog we indicated about the dump and bitcoin fell from 7400$ to 6200$ within a day.Today now bitcoin near 6500$ we will discuss some bitcoin further moves and S.C decision on R.B.I ban. No one even in their wildest dreams have even thought that bitcoin will fall from 7400$ to 6400$ in matter of few hours.The whole bitcoin upwards rally perished just with one negative news which later on turned to be fake.The serious level manipulation in this market is seen many times now.Supreme court decision on R.B.I ban on banks dealing with cryptocurrencies is awaited only 2 days from now. IS BITCOIN BULL RUN COMING ? In the present situation everyone is in panic that bitcoin can come down to 5900$ support very down but the bitcoin is holding 6300-6400$ level very strongly.We can seen it soon to 6800$ in few days, all we need is some momentum back in the market.Presently the marketcap is near 200 billion$ which is quite low. ETF decision is pending in September last week, this will create hype in market again.Probably we can see bitcoin in 7000$ range soon. We are in last quarter of 2018, this is the time bitcoin usually takes serious moves.This is not sure but bitcoin recent years history shows that. Mostly all coins are 80-95% low of their all time high they are now ready to move with institutional money coming in. Every Indian's eyes are on the Supreme court decision in just 2 days.We all are hoping optimistically but what will happen on 11 september no one knows.If a good news comes out surely we can see momentum back in the Indian market which is very much needed right now.As of now there are very minor chances of a bad news.Probably we can see one more hearing on the matter. Market always behaves like this way, just flows opposite what usually people thinks.But we are hoping for the best in next few months bitcoin can see new highs again.This time is difficult for all, but risktakers are rewarded.We all are here to stay for long. See in our next blog on 11 September ! Don't forget to comment down your views and predictions about bitcoin future below. thank you for the info. hoping for the best! Lets see what happens tomorrow ! Hope so, all will be good with cryptocurrency market in India. We all hope for good news.let see what happen today i.e. 11th Sep 18.
thanks for your market update and upcoming hearing on 11th sep..i hope news will come positive which is needed in indian market as well as in crypto market too.. hope for the best.... i am always long run player:) cheers!!! for sure btc price will go at high and also hope that decision of legalise of bitcoin will positive. 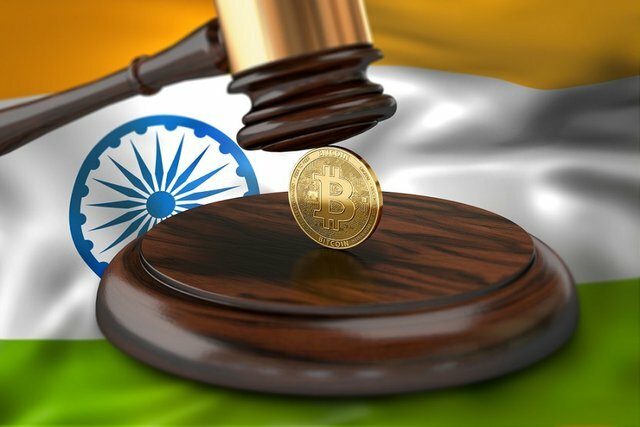 Hi @ moneyguruu, i do not belong to india, i join steemit due to your video but i have strong wish that supreme court of india will declare the Bitcoin trading is legal in india. Because future of lot of people are attached with it. In this modern era how it is possible that indian people stay away from Bitcoin Trading. I wish u all the best for positive news. In the end according to my experience market movers create negativity about the market. Then everyone has negative views about market and then suddenly everything changed. So same will happen in Bitcoin. My prediction is Bitcoin will cross its all time high in 2018. Thanks for the great words, keep supporting ! Yeah, thanks for this awesome post it will bring positivity in newbie who joined crypto recently and panic holders .